FightMe, a cross between a social network and a challenge app, has launched for iOS following a beta period that opened in July this year. In a twist on existing challenge apps, FightMe uses videos to allow users to show off their particular skills, whether that’s a backflip challenge or walking down some stairs on their hands. FightMe members simply use the app to record 30 seconds of unedited video – it doesn’t have to be outlandish physical challenges, you could instead debate a point, albeit only for 30 seconds. 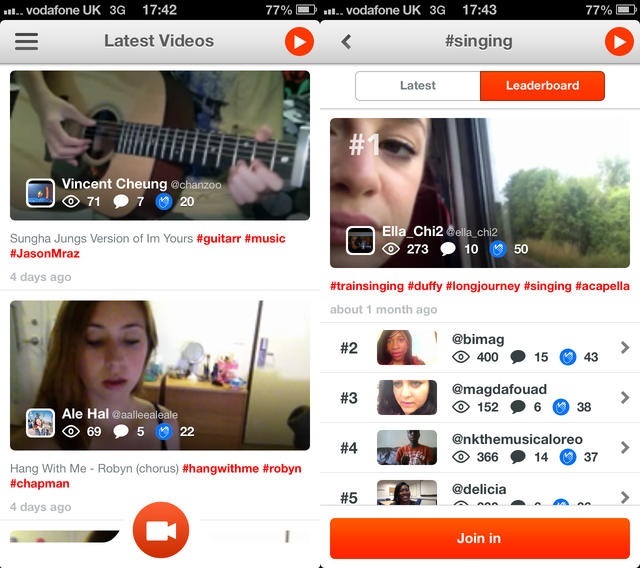 Once completed, users simply upload the video to the FightMe video stream with a hash tag, where other members can view, cheer or otherwise respond to the vid. They also have the option of recording a video response. The company says that in future, brands will be able to use the platform to create their own hashtags and challenges to increase user engagement and loyalty.